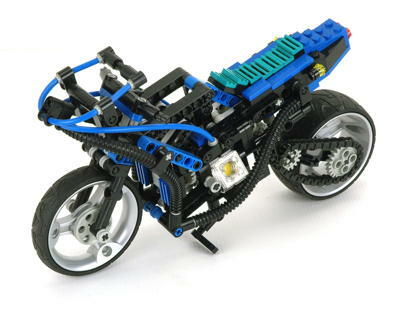 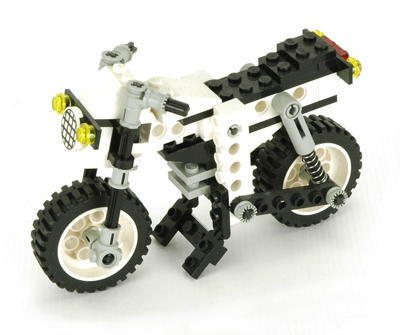 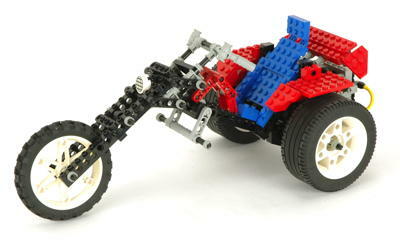 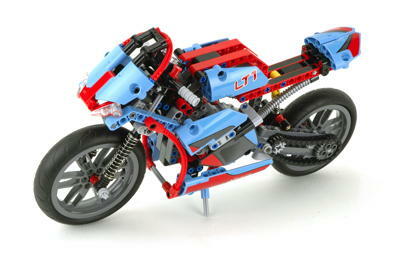 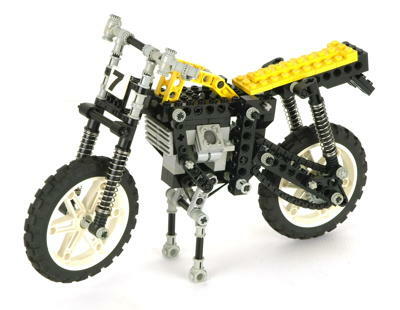 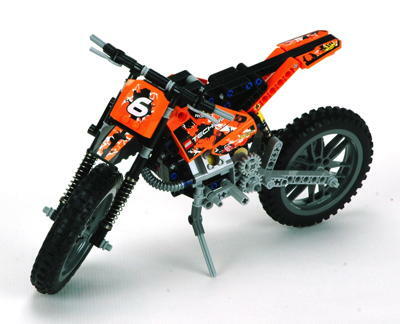 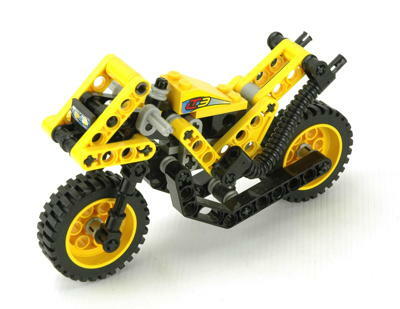 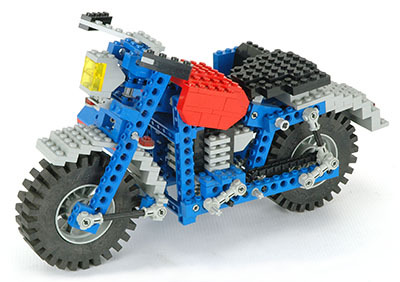 Motorcycles are one of the most popular Technic themes and range from trikes, to sport bikes, to dirt bikes, to side cars. 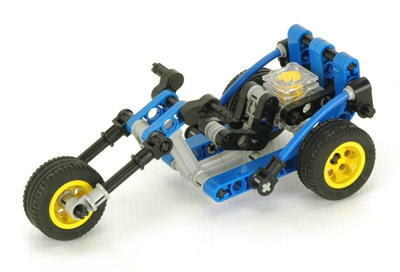 One thing they showcase is the ability of Technic parts to be assembled at many different angles other than square. 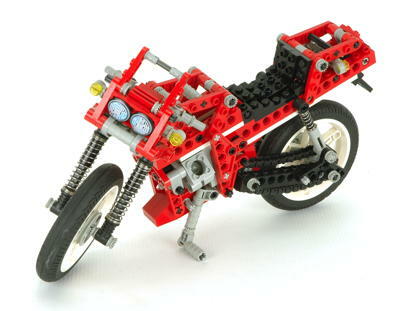 Some of the motorcycle frames are marvels of convoluted assembly. 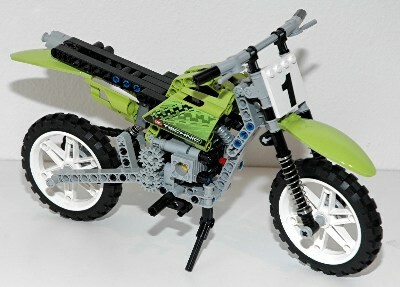 Most have steering either through an axle or a specialized fork piece, and many are chain driven from a rear sprocket. 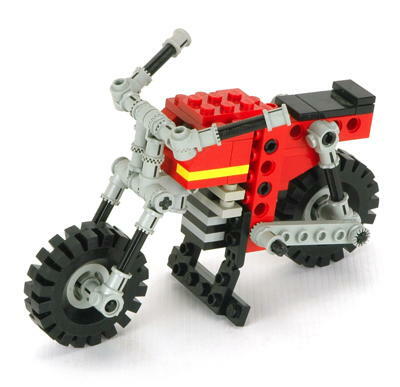 Motorcycles were also a popular theme for the very small intro sets, so there are a wide range of tiny sets to choose from. 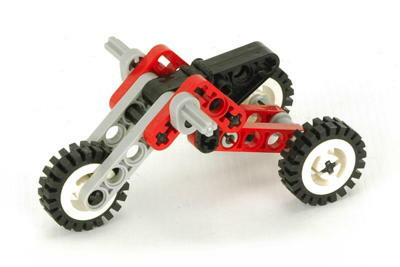 All have at least some moving parts, including rubber band suspension. 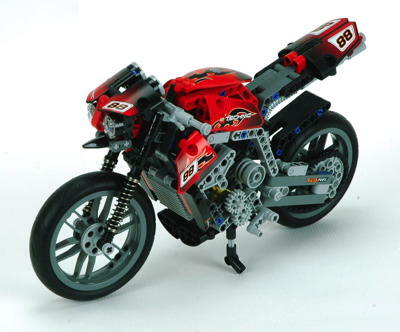 When looking through the comparisons at the bottom of the page, you'll note that the list of features for each bike is nearly the same and most large bike use the same front shocks. 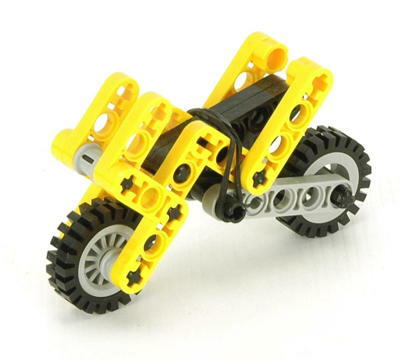 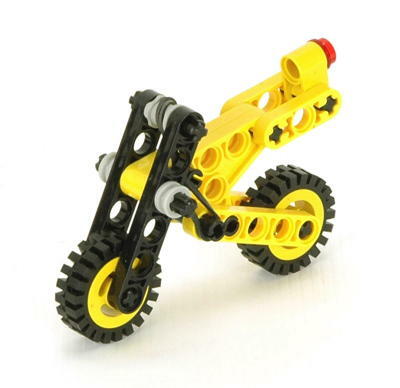 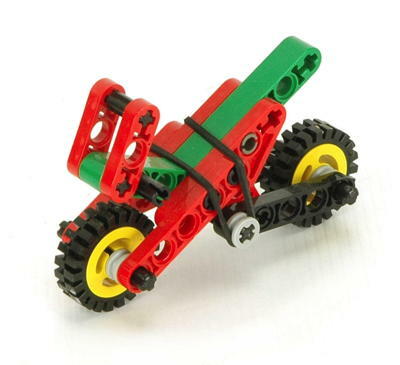 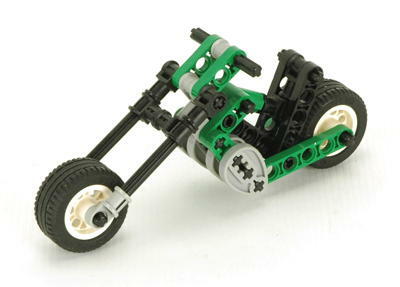 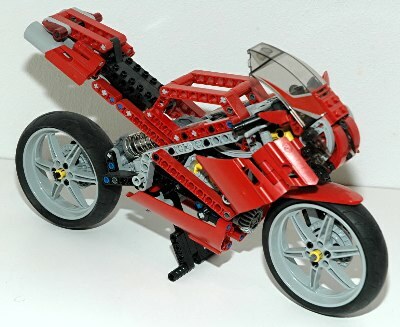 8420 is the most realistically designed, but I think the 8857 trike is my favorite. 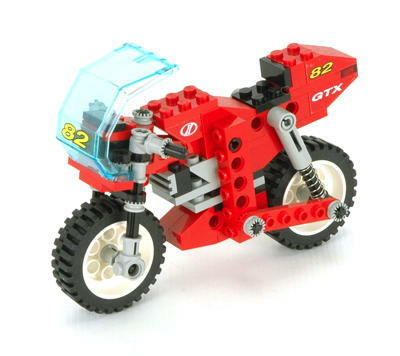 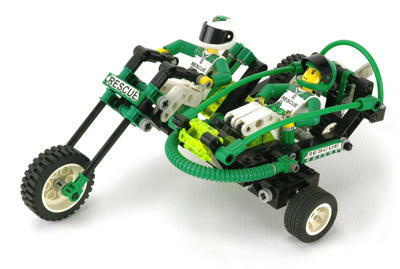 8422 was one of the first Technic sets I owned, and is partly responsible for getting me interested.